Posted on January 1, 2013 | Comments Off on Welcome! ABNC is an active group of people sharing an appreciation of nature’s many forms. We have birders, geologists, star watchers, and plant enthusiasts — a full spectrum of interests. If you have an interest in nature, whether a beginner or experienced observer, we welcome you. Join us at our meetings, field trips, and institutes where you will find a friendly reception and people with similar interests. There are a lot of exciting programs scheduled for the months ahead–check our event schedule, or come by for a visit! 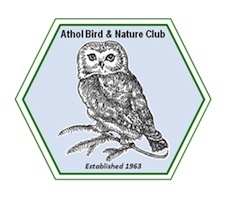 The Athol Bird and Nature Club maintain the Millers River Environmental Center. The Center is currently not wheel-chair accessible. A multifront plan for a replacement is underway. Our members and friends donated $15,000 toward the lift project and The Town of Athol has supported the project providing the rest of the funds needed to build the $80,000 lift. Join us Friday, June 7, 2019, for the MREC Grand Opening 6:00 – 8:00 PM Celebrate the new Wheel Chair lift, and the Windows on Main Art Exhibit with food, music, and fun for the whole family. This event coincides with the First Friday downtown Athol festivities. So lots to do and see in downtown Athol.